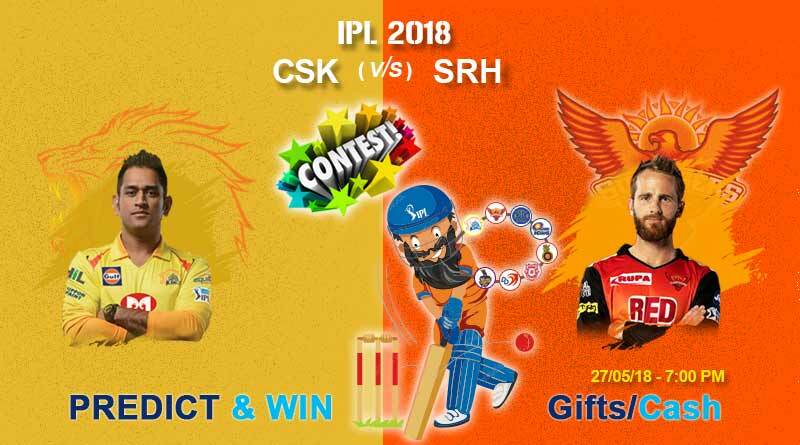 IPL 2018 Final CSK vs SRH Match Prediction – ICE Baba predicts that Hyderabad wins this match today. Vote Now and ‘Like’ the page to win exciting prizes and cashback*. Tomorrow is the 60th match of the IPL 2018 and between Chennai Superkings and Sunrisers Hyderabad (IPL 2018 Final CSK vs SRH). Set your calendars to the 27th when the Indian Premier League reaches its final stage. The most popular and much loved cricketing league reaches its conclusion with the final between the Chennai Superkings and the Sunrisers Hyderabad. With CSK defeating SRH in the first qualifier to reach the final, SRH came good in their second chance, defeating KKR away in the second qualifier to reach to coveted final. With glory and the coveted trophy awaiting the winner, the Rajiv Gandhi International Stadium will be abuzz when these two sides take on each other at 7 pm on Sunday. Hyderabad V. Chennai. Two South rivals taking on each other one last time this year for a chance to be crowned IPL champions. We couldn’t have asked for a better ending to this year’s Indian Premier League than a south derby to decide who will take home the title. The top two sides this year will befittingly take on each other in Hyderabad for one last shot at glory. With the team’s having faced each other twice this year, CSK have a lead of 2-1. All three matches were closely fought and the final promises to be much of the same. The main deciding battle will be between SRH’s bowlers and CSK’s batsmen. With SRH boasting off Rashid Khan, Bhuvneshwar Kumar and Kaur in their ranks, the CSK have the perfect answer to them in Shane Watson, MS Dhoni and Raina. 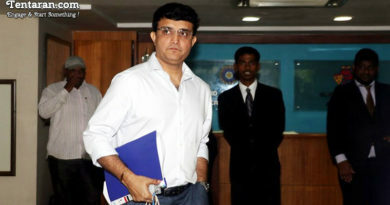 It’s going to be bat against bowl with the winner taking home the accolades for his side. Chennai Super Kings: Mahendra Singh Dhoni (C), Suresh Raina, Ravindra Jadeja, Faf Du Plesis, Harbhajan Singh, Dwayne Bravo, Shane Watson, Ambati Rayadu, Deepak Chahar, K M Asif, Kanish Seth, Lungi Ngidi, Dhruv Shorey, Murali Vijay, Sam Billings, Mark Wood, Kshtiz Sharma, Monu Kumar, Chaitanya Bishnoi, Imran Tahir, Karn Sharma, Shardul Thakur and N Jagadeesan, David Willy. Sunrisers Hyderabad: Kane Williamson (C ), Shikhar Dhawan, Manish Pandey, Bhuvneshwar Kumar, Wriddhiman Saha, Siddharth Kaul, Deepak Hooda, Khaleel Ahmed, Sandeep Sharma, Yusuf Pathan, Shreevats Goswami, Ricky Bhui, Basil Thampi, T Natarajan, Sachin Baby, Bipul Sharma, Mehdi Hasan, Tanmay Agarwal, Alex Hales, Carlos Brathwaite, Rashid Khan, Shakib Al Hasan, Mohammad Nabi and Chris Jordan. IPL 2018 Final CSK vs SRH match is sure going to be very exciting. Are you ready?